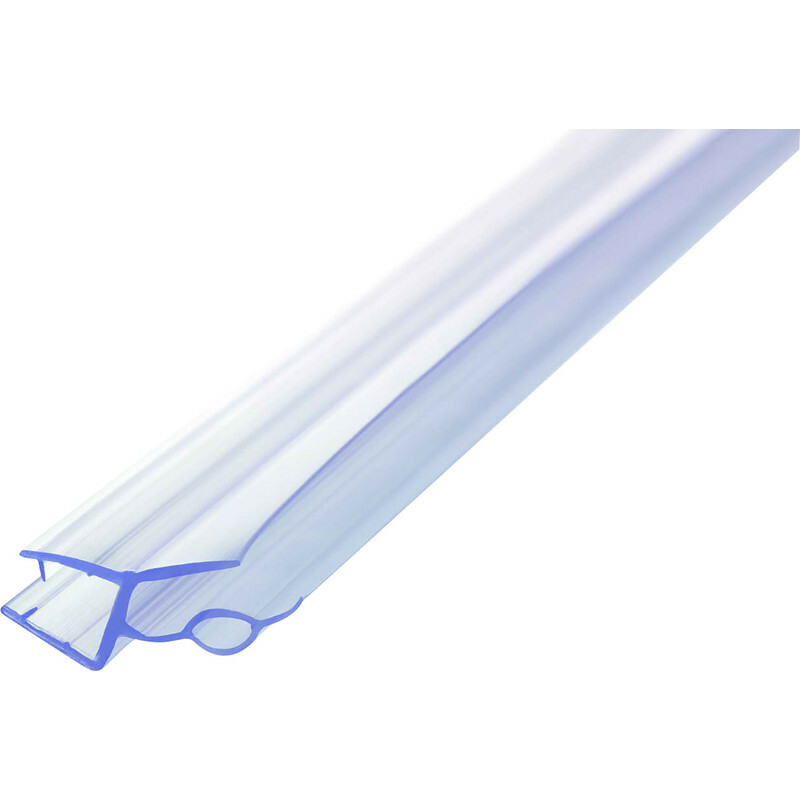 Replacement Bath Screen Seal Clear 1000mm 8mm x 16mm is rated 4.7 out of 5 by 7. Rated 5 out of 5 by Sham007 from Great product I bought this because I found cheapest from all other places. The quality is very good and I can’t complain about anything. Rated 4 out of 5 by BadgerV from Does the job Does the job. Fitted with no problems, quick tip if fitting to curved shower door, heat it up gently with heat gun before applying to glass, this allows it to retain the shape. Good product and value. Rated 5 out of 5 by Alfred54 from Does the job Good quality and at a great price. Rated 4 out of 5 by Qwassi from Did the trick to replace our old seal Fits ok and was easy to cut to length with a hacksaw. A few crinkles around the curve of the screen but makes good seal to the bath. Rated 5 out of 5 by Steve46 from Just what I wanted Does the job perfectly. . Rated 5 out of 5 by GPO 66 from It works on curved shower doors Very good product not stiff so able to fit curve took 5 mins to do.If 23 mm is to long easy to trim,also lip on inside.